Our facility is the only one of its kind outside of the Chicago area. All of these materials can be hauled to our facility as a mixed load. It is no longer necessary to separate your debris on site. 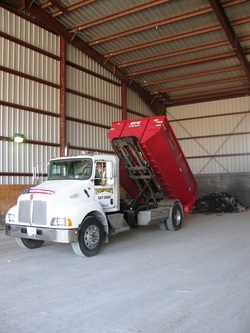 You and/or your contractor can mix all your job site debris in to one roll off container and haul it to our facility. Once it arrives, we separate the materials and recycle what we can. WHY IS C & D DEBRIS A PROBLEM? LANDFILLS ARE FILLING UP WITH C & D AND OTHER WASTES, AND SOME LANDFILLS WILL CLOSE IN THE NEAR FUTURE; THEREFORE, IT IS WISE TO FIND OTHER ALTERNATIVES OTHER THAN LANDFILLING C & D DEBRIS. PROPER MANAGEMENT AND REDUCTION OF THE AMOUNT OF C & D WASTE YOU GENERATE CAN SAVE MONEY, CONSERVE RESOURCES, AND PRESERVE THE ENVIRONMENT. THE FOLLOWING ARTICLE WAS PUBLISHED IN THE PANTAGRAPH ON 2/17/12. "Little Room Left To Waste: COUNTY URGES RESTRAINT AS LANDFILL APPROACHES LIMIT"